Defibrillator – Mobile phone collection – we would like to thank everyone who supported our mobile phone collection. We are delighted to inform you that we have now received our School Defibrillator. 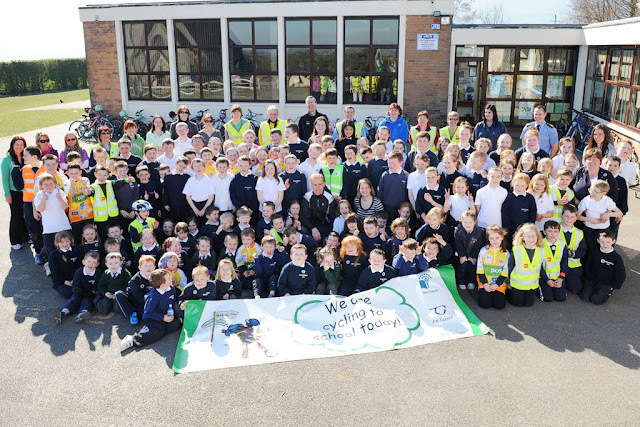 Sean Kelly came along to launch the school's first COW (Cycle on Wednesday) day held in the school on the 16th March 2011. We had a great day and it was really enjoyed by everyone. A special thankyou to Sean Kelly, Garda Ronan Slevin who spoke to the kids about road safety, Barry Meehan of Worldwide Cycles in Clonmel, Robert Power who photographed the event, Flahavans for their support and all of the parents who helped out with the day.